Kurt Baumeister reviewed The Summer She Was Under Water as part of his Microbrew Reviews at The Nervous Breakdown. 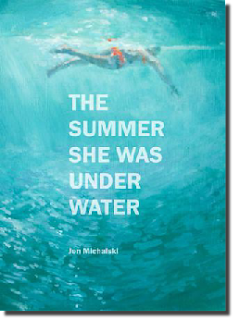 "The Summer She Was Under Water is a quick, dark book, one in which life offers many questions, few answers. Lurking always are Sam’s memories of her brother Steve, memories that have come to dominate every aspect of her life, from her work to her relationship with her boyfriend, Michael. Both in terms of prose and dialogue, Michalski’s writing is vivid and true to life, perfect for a world in which connections to other humans seem tenuous, always one wrong word or action from being cut, perhaps forever."